LAMP is short for Linux, Apache, MySQL, PHP. This tutorial shows how you can install an Apache2 webserver on a CentOS 6.2 server with PHP5 support (mod_php) and MySQL support. HELLO, SO THANKS ! 100% PERFECT ! CONGRATULATIONS ! thank you very much. worked like a charm.. Thanks a mil for clear and concise instructions. 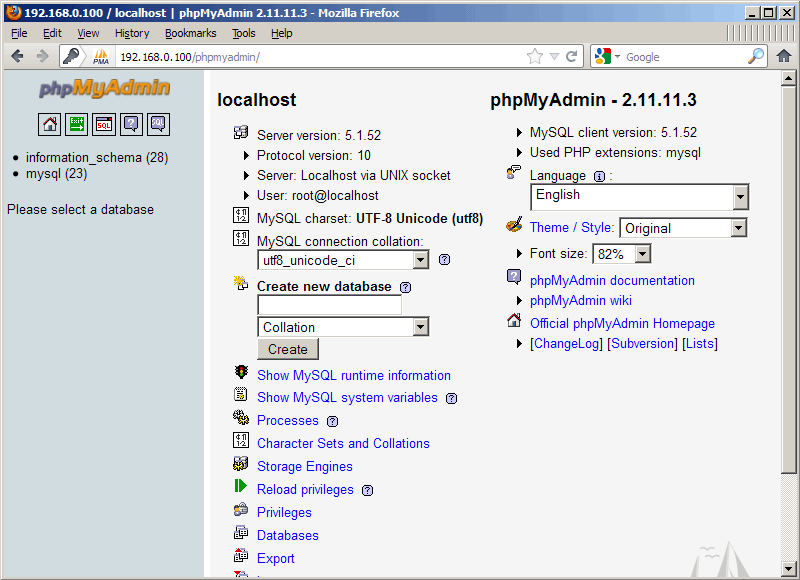 Not sure that phpmyadmin should have root user logging in over internet which is what results from these instructions. I agree that it probably isn't a good idea to have this open publicly but this isn't necessarily open. This config is ok if you aren't running a public ip or NAT'ing 80 to this server. I'm sure you know that, just want to throw that out there, so not to not alarm any newbies.Probably a better idea to restrict it to your local subnet though. Thanks, great tutorial! Very thorough! Great, clear, concise tutorial... many thanks. 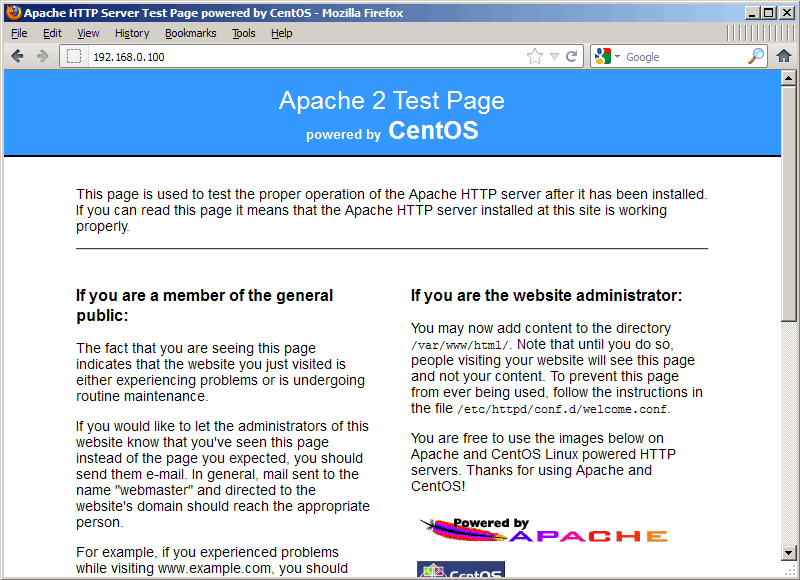 My CentOS installation however blocked port 80 by default. Maybe add a warning. Append the port 80 and 443 (if you'll be using https) BELOW the port 22 access. Brilliant mate - really easy to follow. 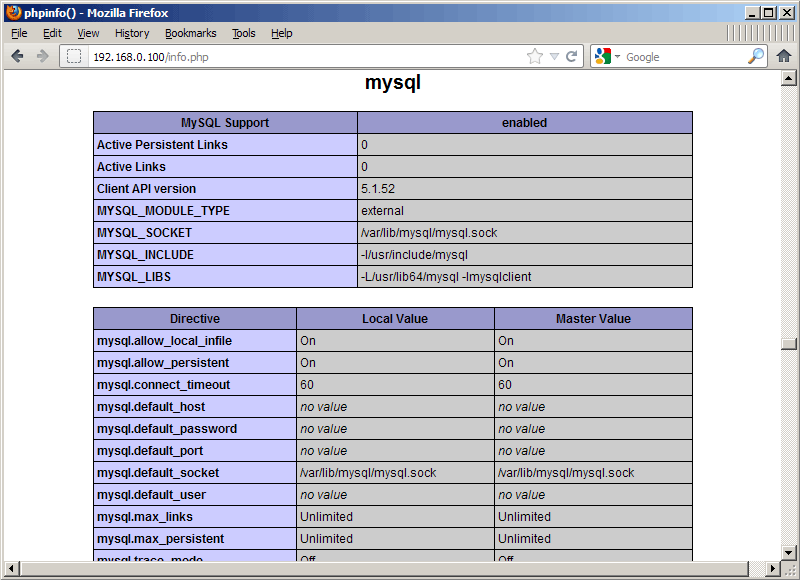 Following the instructions below is the script I called "myfirewall". The Centos installation was in a client's office (Local LAN), also you can VPN from my office (Office LAN) and directly from my office to the client's without the VPN (Office External). 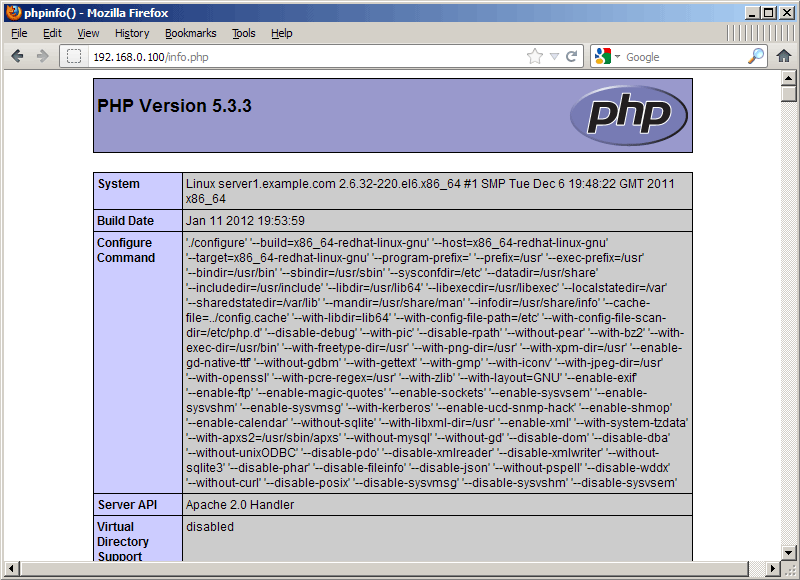 It allows SSH, HTTP and HTTPS, just for the IP addresses stated, and blocks any others. Obviously I have changed my office IP address in the script. Thanks for sharing this step by step guide. Keep it up. 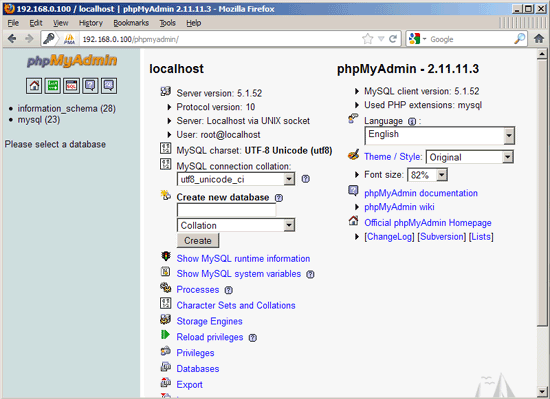 how to install phpmyadmin using NGINX on Redhat/CentOS/Fedora? please sharing to me if you have this tutorial.